Well, this is awkward. 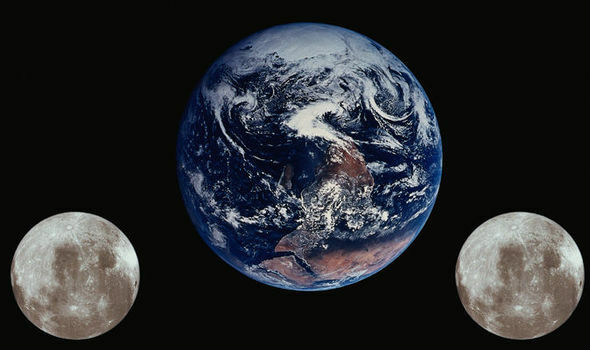 Earth's relationship with the moon is no longer a monogamous one. 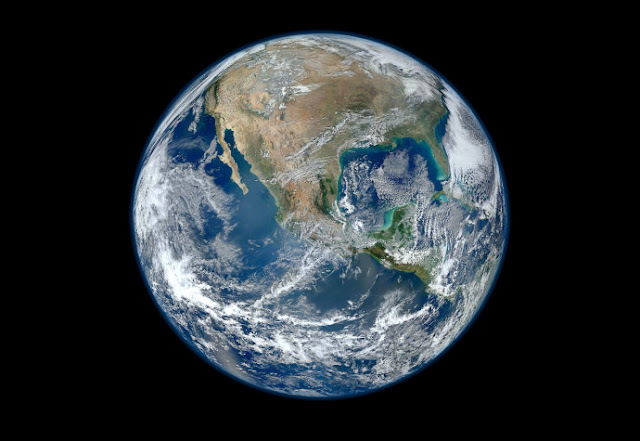 Scientists have identified a second, mini-moon orbiting our planet that has probably only been around for about 100 years, reports NASA. This second moon looks to be a recently captured asteroid, and like a mistress, its subtle dance with Earth may be fleeting, only sticking around for a few centuries. Still, it's a remarkable event that proves just how dynamic our gravitational relationship is with near-Earth objects. The video above showcases in detail the path of the new moon's orbit as it bobs up and down like a tiny float in choppy water. As said, it's small, measuring in at only around 120 feet across and no more than 300 feet wide, which is probably why it has taken so long for scientists to spot it. (It was only just spotted last April.) Its distance from Earth varies from between 38 and 100 times the distance of our planet’s primary moon. "The asteroid's loops around Earth drift a little ahead or behind from year to year, but when they drift too far forward or backward, Earth's gravity is just strong enough to reverse the drift and hold onto the asteroid so that it never wanders farther away than about 100 times the distance of the moon," said Paul Chodas, manager of NASA's Center for Near-Earth Object (NEO) Studies at the Jet Propulsion Laboratory in Pasadena, California. "The same effect also prevents the asteroid from approaching much closer than about 38 times the distance of the moon. 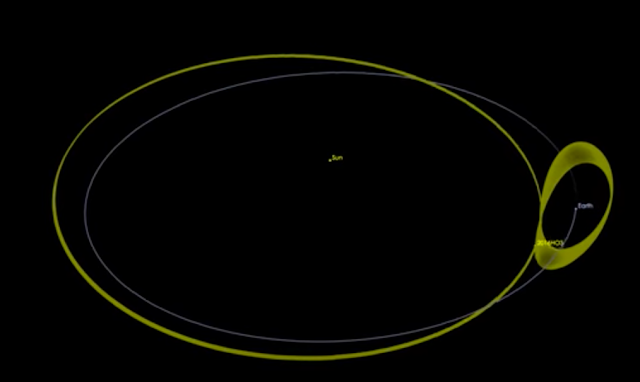 In effect, this small asteroid is caught in a little dance with Earth.Our calculations indicate 2016 HO3 has been a stable quasi-satellite of Earth for almost a century, and it will continue to follow this pattern as Earth's companion for centuries to come."